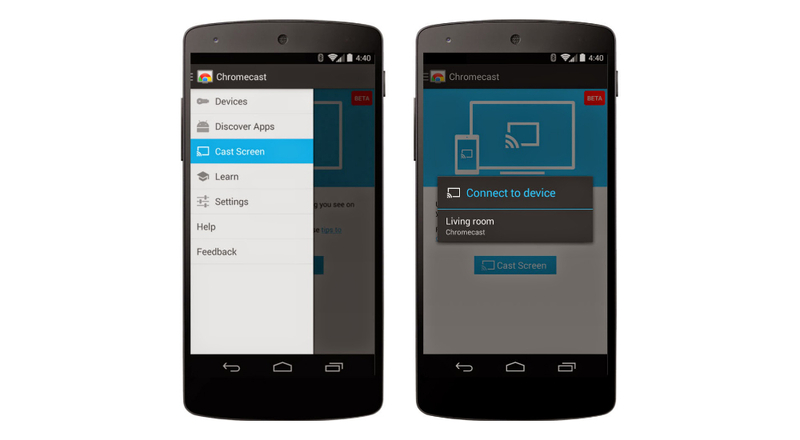 This morning, Google announced that Android screen mirroring is officially now available for Chromecast users. With this feature, owners of a compatible smartphone or tablet, with access to a Chromecast over a WiFi connection, can mirror their device’s display onto the big screen in their living room. When mirroring, whatever you see on your smartphone will be displayed on your TV, meaning you can watch videos, view pictures, and play inside of apps. No exact mention was made about gaming, but a latency issue could make that a bit difficult. Google states that this feature is currently in Beta, so if it seems broken at times, don’t be alarmed. To use it, you will need the updated Chromecast application from Google Play, so be on the lookout for version 1.7.